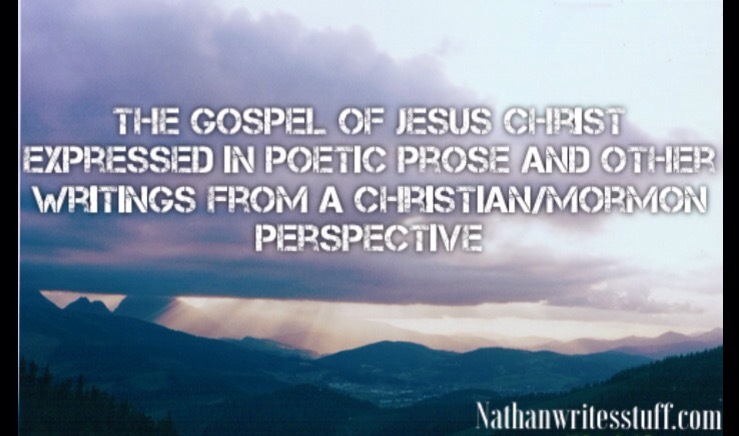 nathanwritesstuff.com – This website is an attempt to express the gospel in poetic prose. Author’s picks, Cell of Our Own Self-Esteem, The Spell of the Gospel, and Love First, Love Last (new). Academic: Voices from the Dust and I Will Heal Him. On writing: Admiration, Emulation, and Memorialization. Christ: the End Worth Enduring for presented at the Society of Mormon Philosophy and Theology on 15 October 2016 held at Brigham Young University (click here for the notice). Top 3 highest amount of views by Country: United States, Brazil, and Ghana. Thanks for visiting! Please feel free to share any posts you enjoy from this site on the social media venue of your choice.